Get rid off the old-age, 2 burner gas stove. 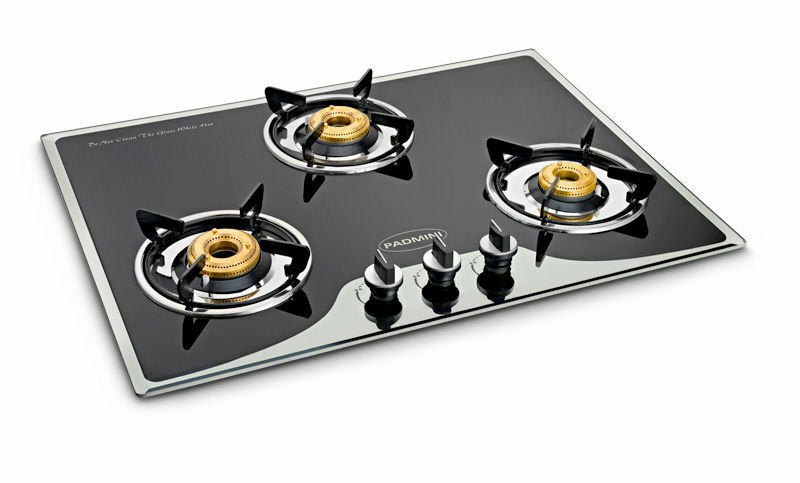 It's high time to upgrade to the Padimini 3 burner, which is much more efficient than ever. The highly efficient brass burners, speaks of the quality it serves with. Every individual gets a supporting pan. The top comes with extra widened and toughened glass over the top, to increase the durability and look of the burner. The designing of this burner is done in the manner, to make it most suitable for Indian cooking patterns. So you can definitely, can call it purely Indian partner to help you cook mouth watering Desi-Indian Dishes; or say even those continental and international dishes with the spice of Indian-ness! Suitable for Indian Style cooking. Extra Wide toughened glass (590mm) working top. Automatic ignition (1.5 Volt) electric shock proof.